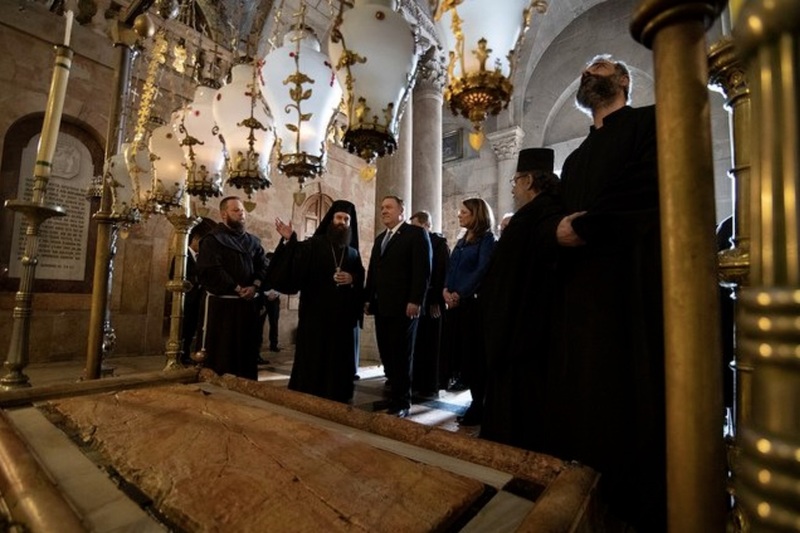 U.S. Secretary of State Mike Pompeo visited the Church of the Holy Sepulcher, believed to be by Christians, the spot Jesus Christ resurrected. Pompeo, who was in Israel for official State Department business, including a meeting with the prime ministers of Greece, Israel and Cyprus, Tweeted that he was “humbled by the history and faith” that he witnessed at the church. He was greeted at the front of the church by heads of the faith groups who govern the church, including Greek Orthodox, Armenian and Catholics. Click here to watch the video by CSPAN of Secretary Pompeo’s visit to the sacred Christian site.